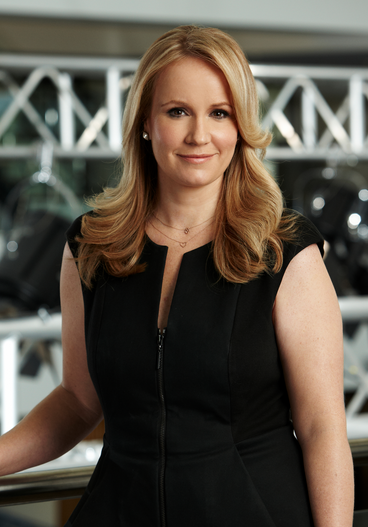 Ten’s chief content officer Beverley McGarvey has promised a strong line-up of domestic entertainment programs over the coming 12 months as the network faces a summer without any major sporting codes. The network was disappointed to lose the Big Bash Cricket, she said, but will fill the programming hole with “a full domestic entertainment schedule [for] 50 weeks a year”. She also noted Ten had learned “crappy shows don’t really work anymore”. McGarvey’s comments formed part of an Advertising Week panel, and came ahead of speculation in News Corp papers today that Ten’s new owner, CBS, is looking to axe a number of the network’s programs. Annette Sharp’s article in the Sunday papers also speculates McGarvey’s position is under close scrutiny by CBS. Sharp’s article claims now that CBS has made its first big move in the local market – in the form of bringing Ten’s sales back in-house, thus ending its relationship with sales outfit MCN – it will now make its mark on the programming landscape. “Survivor may not survive, The Bachelorette may be left at the altar and I’m a Celebrity may get out of here as America’s CBS prepares a massive shake-up of Channel Ten’s programs,” Sharp wrote. Also under review, according to Sharp, is Ten’s new game show format Pointless. 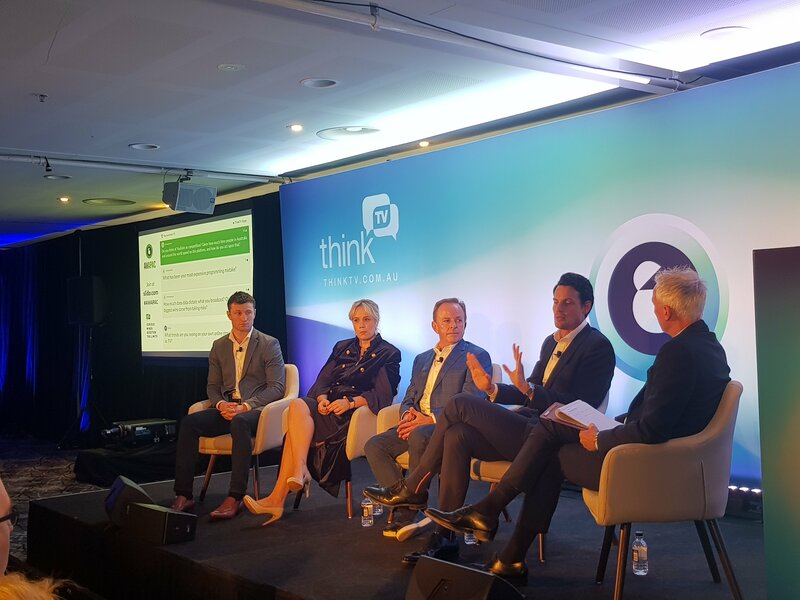 Speaking at Advertising Week, however, McGarvey said while the loss of the cricket to Seven and Foxtel hurt the network, it could now offer audiences alternative viewing options. “Obviously we were very disappointed with how the cricket played out at the time,” she said. “We will invest that money [that Ten would have spent on cricket rights] into domestic entertainment. McGarvey also noted that due to increased competition from streaming services and changing viewing habits, local TV networks could no longer rely on international drama formats to bring in the big audiences – like Ten used to with CBS’ NCIS. “There’s always something good to watch, there’s always somewhere else to go, so it forces us all to be better,” she said. “I think the quality of content across the board has actually got better – if you’re a consumer and you’re part of the audience, you will have really good choices. There’s something for you basically all of the time, so it’s forced us all to be better at what we do,” she said. Ten, she said, would be focussing on what she thinks it does best. Ten has been approached for comment about the claims in News Corp’s papers today. One may argue that Ten’s audience never deserved crappy shows in the first place. Good luck with the MCN split – you will need it now! She *IS* aware that they’ve just given Kyle Sandilands a show, right? Does that mean the old shows were crappy and they knew it and wouldn’t recognize that and the new shows are also not crappy like the old ones used to be but weren’t, so they are also crappy? It’s analysis like that that explains why she’s worth the big bucks. How about a revival of Everybody Dance Now and The Shire, two of the worst shows to ever grace Australian television, both on Ms McGarvey’s watch? So can we just stick with Simpsons re-runs from 7pm onwards? Viewers are no doubt more discriminating. With more choices for their time than ever before, they’re more than ever likely to not watch things they don’t value fairly highly. Advertisers are similarly now able to easily target smaller audience segments than ever before. Irrespective of how many people are watching a show, an advertiser only wishes to buy the eyeballs of those likely to buy their product. Combined, these factors are drawing us into an era when expensive popularist spectacles are increasingly of lower value than lower cost niche programming.